You are very welcome to Finland and Espoo! From these pages you can find answers to frequently asked questions related to traveling in Finland, as well as links to additional information sources. A good way to get to know Finland, the country of thousands of lakes, midnight sun, and technology is to visit Virtual Finland, which provides general information about the country. You can even learn a bit Finnish , while browsing their web pages. In general, the majority of the population speaks fluent English (some also Swedish and German), so you don't need to learn the whole Finnish dictionary. The official language of the conference is English. Probably the easiest way to travel between your hotel and Otaniemi is to take a bus. Information about the public transportation and ticket prices in Helsinki area is provided by YTV. If you plan to travel by bus during your trip a lot, you might want to consider purchasing a tourist ticket for one, three, or five days. The journey planner is a very handy tool when you need to check what bus line you should take. In addition, you may find maps and more detailed instructions on how to get to Otaniemi here. About 20 min by bus, lines 102 and 103 that leave from the bus terminal in Kamppi shopping center. You need to buy a regional ticket that costs 3.80 €. About 30 min by taxi (ca. 40 €). Another option is to take the Airport Taxi, which is a bit cheaper. About 70 min by bus. First take the line 615 to Helsinki city center and then the line 102 or 103 that leave from the bus terminal in Kamppi shopping center. You need to buy a regional ticket that costs 3.80 €. From the Helsinki-Vantaa International Airport web pages you can find more information about e.g. flight schedules and bus stop locations. We have reserved rooms from the following hotels for the DAFx-08 conference participants. Please use the corresponding reservation code while making the room reservations. Note also that the reservations are valid only for a limited time. The deadlines for booking rooms are shown below together with the reservation codes. During the conference you will have an access to the Aalto wireless network. 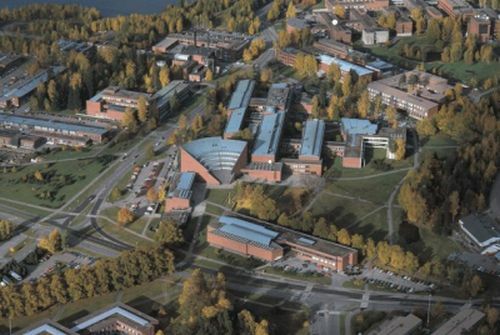 Aalto covers the TKK campus area. The international phone code for Finland is +358. The average the temperature in September is around 11 degrees Celsius. In practice, at day time the temperature can be even more than 20 degrees, while the temperature can fall below 10 degrees in the night. The time in Finland is GMT +2. The current time in Finland can be found at World Time Server. The currency of Finland is Euro (EUR, €). You can use for example Yahoo's Currency Converter to check out the exchange rates. Major credit cards are accepted in most shops, restaurants, and hotels. Cash can be withdrawn with credit cards from Otto ATM machines. You can also change Euros at Forex. Forex officies can be found for example in Tapiola and Helsinki city center. In Finland, VAT (22 %) is included in all prices. In restaurants, tipping is not expected. You may, however, tip for extraordinarily good service. Please check well in advance whether you need a visa to visit Finland. If you would want to visit Russia (St. Petersburg is relatively close) during your trip, arrange your visa already in your home country by contacting the local Russian Embassy. There are no vaccination requirements for any international travelers. Electrical socket type: 50 Hz, 230 V (the same as in the continental EU countries). 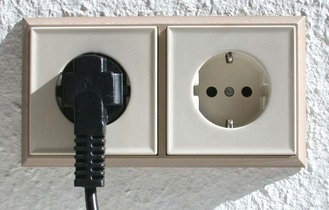 Additional information about electrical and phone plugs and adapters as well as mobile phones can be found at www.kropla.com. Helsinki and the surrounding cities Espoo, Vantaa, and Kauniainen form the capital area of Finland with about 1.2 million inhabitants. Helsinki forms the heart of trade, culture, and science in Finland. The head offices of the most prominent Finnish companies are located in Helsinki, as well as eight of the 20 universities in Finland. The most well-known museums and sights in Finland can be found in the Helsinki area. The center of Helsinki offers the best possibilities for shopping: large department stores and small boutiques are within walking distance. Information about sights in Helsinki is available at helsinki.fi pages. Espoo Travel web pages offer information about what to do and see in Espoo.